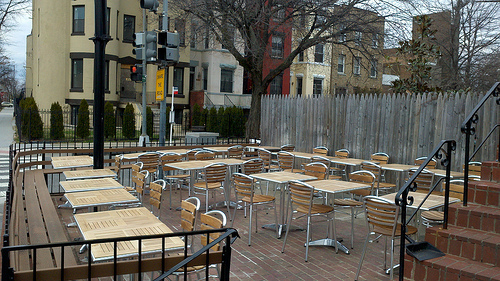 Red Rocks located at the corner of 11th and Park Rd, NW is now sporting a new outdoor seating set up. So what do you think – do you like the new tables and chairs or did you prefer the old picnic table set up? 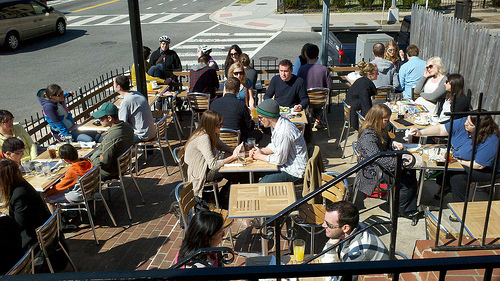 A little bit of neighborhood trivia – Red Rocks originally switched from tables and chairs to picnic tables back in July ’08.